As one of the best cities in the country, Manchester is a very popular place. The property market is constantly on the up. And we’re here to help you with all your property needs. Whether you’re new to the area, or a lifelong resident our friendly team is on hand to assist you every step of the way. If you need to sell or let your Manchester property, get the process started with a free, no-obligation online valuation. The city centre choice for city dwellers has increased exponentially. You might be looking for a penthouse in Deansgate, a studio apartment in the trendy Northern Quarter, or a waterside apartment by Salfard Quays. There’s something for every budget. And lots of different property types for you to choose from. The average cost of a property in Manchester is £174,000 (as of August 2018). You can browse our selection of houses by clicking here. Or, select ‘property search’ at the top of this page, and type in ‘Manchester’. With one of the best offices in the city centre, our main goal here in the Hunters Manchester office is to offer the best service to our sellers, buyers, landlords and tenants. We promise to always work harder on your behalf. Hunters Manchester opened its prestigious office at No. 1 Deansgate in March 2004. Quickly establishing itself amongst the market leaders, the branch was acclaimed by Cendant as the city's best agent in its very first year. We’re ideally placed within striking distance of some of Manchester's best loved residential developments. Hunters Manchester offers a professional and proactive approach with a clear commitment to quality of service and has become the agent of choice for many buyers, sellers, tenants and landlords in Manchester. We deal with a full range of properties for sale and to let in Manchester, for all types of customers. The branch covers the whole of the city centre and Salford Quays as well as parts of Hulme, Salford and Cheetham Hill. Have a Manchester property you’re looking to sell? We can help. Our team will get your house on the market. Then they'll assist with the entire selling process. The first step is to get an estimated valuation of your property. You can do this in two ways - either online (click here), or by having us come visit, and conducting the valuation in person. Massive thank you to Hunters Manchester for all their hard work with letting our properties. Thank you especially to Gemma, Sarah and Grace who always provide me with prompt feedback and offers! Would highly recommend this branch. I recently bought an apartment in Manchester through Hunters. They were a pleasure to deal with from start to finish. Mark Pedley is great and made sure everything went as smoothly as it could. I would highly recommend using Hunters. 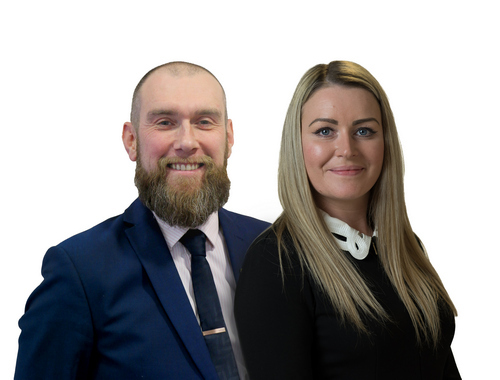 Great help in selling our property Ian Barber and Mark Pedley dealt with our questions and the sale of our property advertised one day and got interested offer next. Quick on the offer but time to completion took longer than anticipated. Will use again. Claudette is a great, she provided an excellent service, prompt in replying and very helpful and willing to go out of her way to arrange viewings at a short notice, and answering all my questions, she is friendly and helpful, she is simply the best. Would love to be helped by her again in the future. I dealt with Ian and Claudette of Hunters Manchester for the sale of my property (1-bed apartment, Manchester City Centre). From start to finish I've been v happy with every aspect of the service - from initial phone consultation through valuation, marketing, sales, negotiation, etc. They kept me informed during the process and were always available to update and discuss things as needed. Would have no problem recommending them, I've been very happy with the service levels and the attitude with which they approach their work. Well done guys! The staff were fantastic during the whole process of selling our property in Manchester city centre. From day one they were professional and polite and skillfully managed multiple party interest to achieve an outcome better than expected. I would fully recommend using their services. Click to view preferred suppliers for Hunters Manchester. A wholly owned part of Hunters Property Group Ltd.
VAT Reg No: 918 0230 50 | Registered No: 03947557 | Registered Office: Apollo House, Eboracum Way, York, YO31 7RE. 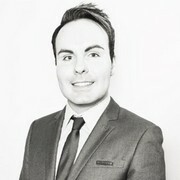 Martin has been working within Estate Agency for the past 16 years. He has worked for Independents, On Line and Corporate Agents and is very much looking forward to working with the Manchester team in taking Hunters Manchester Branch forwards. When Martin is not glued to his laptop he is either throwing himself into high intensity training through the week, trying to relax with Yoga classes and walking over the weekends. Martin is also an avid Manchester United supporter. Having been with Hunters in the Manchester office for over 12 years Claudette is one of the most experienced and accomplish sales negotiators in Manchester. With a vast amount of knowledge of the local market, buildings and individual apartments she will offer excellent advice for both buying and selling, now and in the future. Fully trained with Hunters National Diploma in Sales. Mark joined Hunters in February 2011 after successfully graduating from The University of Huddersfield with a degree in Events Management. Mark has developed an excellent knowledge and experience of Manchester’s real estate industry, and the buying/selling process as a whole. Fully trained with a Hunters National Diploma in Sales, Mark is often seen around Manchester (day or night) enjoying all that the fantastic city has to offer. 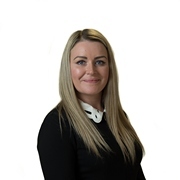 Gemma started her property venture by working part time in a local Estate Agent as a negotiator whilst at college studying Law. She enjoyed it so much so that she joined Hunters 9 years ago and has been part of the furniture ever since. During this time, she has been listing properties and growing the business in the Manchester area dealing with single and multiple investors as well as developers. Since starting with us she has worked her way up and with a wealth of knowledge both in the industry and her local market, she now manages the Manchester branch. 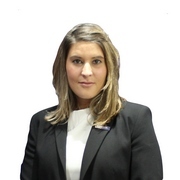 Originally from Chester, Sarah moved to London and started working in Lettings 2 years ago. 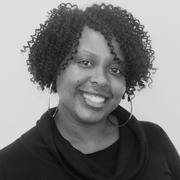 With each day being so different and the fast pace of the industry she knew property was the career for her. After deciding to move to Manchester in February 2017, Sarah started at Hunters as a Lettings Negotiator. 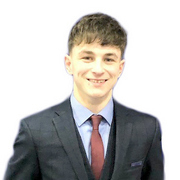 Having worked within the property industry for 3 years so far including sales and lettings, he decided to join Hunters in 2018. He is a keen musician and boxer and has lots of enthusiasm for his role. Fran has been working at Hunters since the beginning of 2018 and as an experienced landlady herself has a wealth of experience in dealing with difference clients. In her own words she "was surprised at how little she knew and thoroughly enjoyed the training". Now Fran is accredited, she is the go to woman for all viewings and tying up lets. In her spare time she enjoys exploring Manchester's nightlife and quiz nights with friends. As a city and metropolitan borough, there is Manchester property for sale & rent to suit everyone. Having undergone considerable investment in recent years, the city now offers everything from cultural enrichment to fine dining. From art galleries to the theatre, there is almost always something to catch the eye with the city rapidly becoming the cultural capital of the north. For those who enjoy the beautiful game, the recently opened National Football Museum is definitely worth a visit. However, if football fever doesn’t grab you on derby day, there is always the People’s History Museum, which will take you on a journey of the working classes throughout Britain’s history. The Manchester Art Gallery, Whitworth Art Gallery and the Museum of Science and industry all add to the culturally enriching and diverse theme that is attracting so many visitors to the city. Thanks to investment, some large parts of Manchester are becoming increasingly attractive to home buyers and as such, Manchester properties for sale in areas such as by the cathedral are becoming well sought after. The cathedral quarter is also home to an array of stunning apartments, which are ideal for professionals that work in the city. Coupled with the new seating area and lawns in the shadow of the cathedral itself and you have one of the most idyllic spots in the city. The northern quarter is home to stylish bars, a variety of eateries serving a range of local and international cuisine and is a magnet for both locals and visitors looking for relaxing lunch or evening out. Being located close to Piccadilly, it also has the advantage of being very accessible. On the subject of cuisine, for those who enjoy their food, Manchester cannot be beaten. From the celebrated double Michelin star winner Michael Caines Adobe restaurant, to the stylish Australasia, which brings a taste of the Pacific to the table, there are many notable eateries through the city, far too many to mention here. One of Manchester’s greatest assets is the university. One of the finest in the country, the university is located in Oxford Road and as such, has a range of affordable bars and restaurants. This part of Manchester has become more appealing for those interested in purchasing a buy to let property as the advantages are obvious. For those considering a Manchester property for rent, there is no shortage to quality accommodation on that front either. Just a 2 minute walk from Victoria Station, the spectacular Co-Operative building houses a number of quality apartments catering for couples right through to families. Ideally located for working in the area, the building is opposite the green quarter and is worth checking out for its apartments for sale and rent. One of the city’s greatest aspects is its diversity. From art galleries to night clubs, affordable eateries to Michelin Star restaurants, Manchester really does have it all. Add to this the regeneration in certain areas and there couldn’t be a better time to make that move to the number one city in the north. Whatever your needs there is Manchester property for sale & rent to suit all. Why not search for a property using the search bar at the top of this page or visit our local Manchester estate agents & letting agents homepage for more information.